As Penelope gets older it seems like it is harder and harder to get veggies into her. She always wants to skip ahead to the fruit and sweet stuff, that’s why this recipe is such a great way to get your little one to eat lots of veggies without even knowing it. 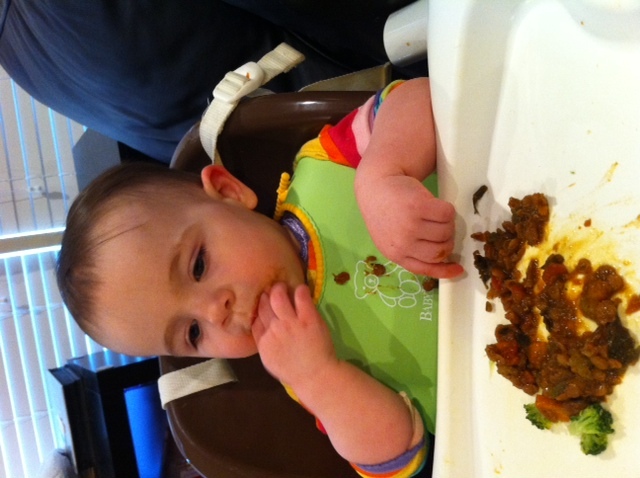 Here is a healthy and super easy recipe that both you and your baby will love! 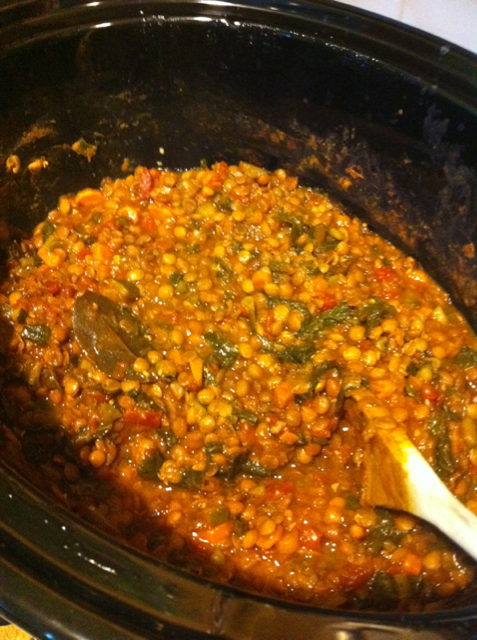 It uses a ton of nutritious veggies and cooks for 8 hours in a crockpot so you can dump it and go! stir and let cook for 8 hours. Once soup is cooked it should become thicker. you can thin it down with water or more veggie stock or leave it thicker like I do so your little one can eat it as a finger food. line muffin trays with saran wrap and spoon in individual portions of stew. Freeze and then put frozen portions in a freezer bag for up to 3 months. NEXT POST…..Little items that make a big impact! 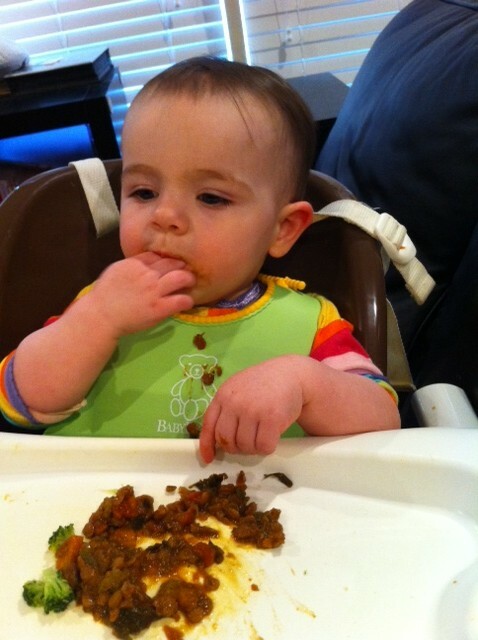 This entry was posted in Baby Food, Cooking. easy peasy! thanks! i’ll let you know when we test it out.